Sen. Bernie Sanders last July in Madison, Wis.
Super Tuesday could make or break Sen. Bernie Sanders (I-Vt.). Either way, he'll be spending it with friends. Sanders' presidential campaign announced Sunday that he will appear at a rally and concert Tuesday evening at the Champlain Valley Exposition in Essex Junction. The event will take place as Democrats in 11 states, including Vermont, make their presidential pick by primary or caucus. Roughly 880 delegates will be awarded that day — about a third of those necessary to win the Democratic nomination. Joining the candidate for the event will be the pianist Ben Folds and several Vermont artists who have performed at other Sanders concerts: Kat Wright, Brett Hughes, Dwight Ritcher and Nicole Nelson. Folds announced on Facebook earlier Sunday that he would join Sanders "to play a few tunes at his rally before he takes the stage, do some press and anything else I can do to help." 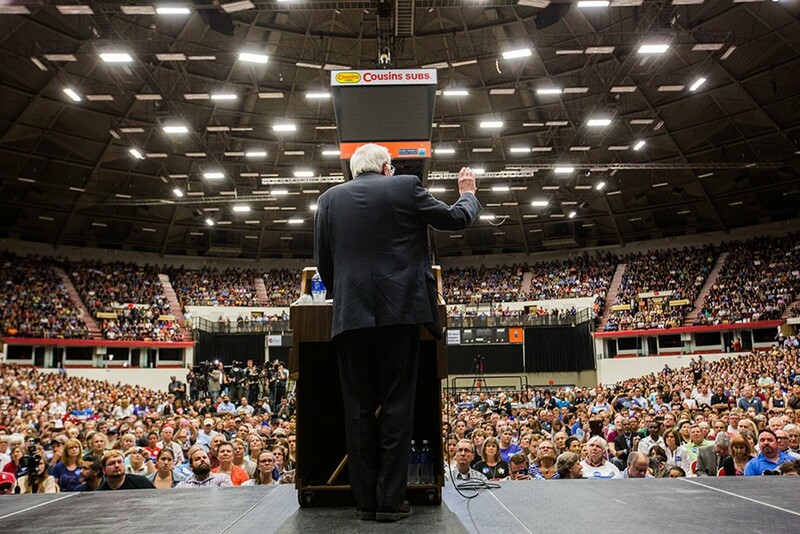 He added, "Those who know me know that I’ve never put myself wholeheartedly into a public endorsement for a politician, but Bernie is a rare candidate." Doors open at 4 p.m. and the program begins at 6 p.m., though Sanders likely won't speak until quite a bit later. According to the campaign, tickets are not required, but an RSVP is "strongly encouraged."